Meteorology Climatology and Geophysics Board (BMKG) predicted light rain to pour several areas across Jakarta from this afternoon.
" Beware of rain accompanied by lightning in short duration in South Jakarta"
"Morning is partly sunny," said Hary Tirto Djatmiko, Head Division of BMKG's Public Relation, Thursday (6/15). 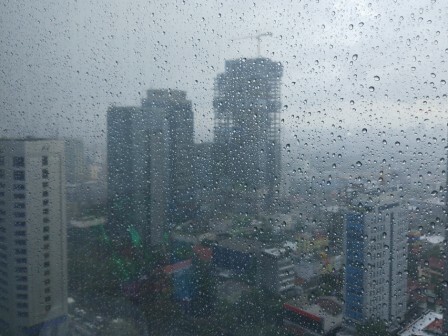 In the afternoon, light rain is predicted to pour South Jakarta, East Jakarta, West Jakarta, and Central Jakarta. While at night is mostly cloudy with a chance of light rain to pour East Jakarta and South Jakarta. Temperature for today could reach 23-33 Celsius degree with humidity around 60-95 percent. While, northeast-southeast wind velocity could reach 05-28 kilometers per hour. "Beware of rain accompanied by lightning in short duration in South Jakarta between afternoon and n ight," he closed.